5 Ways to Celebrate Earth Day 2018 | Mr. Tree, Inc.
Earth Day was founded to educate the world on environmental issues. At the time there were only a few activists involved with the environmental political agenda; few people recycled and gas guzzling cars were a sign of prosperity. It wasn’t until 1969 when Senator Nelson coined the idea Earth Day and encouraged people to become part of the political conversation. The nation suddenly had the space and platform to express its concerns on pressing environmental issues. Telegrams and telephone inquiries poured in and universities were electing activists to lead the students to organize. What started as grassroots organizing to change the public attitude is now a worldwide effort to raise awareness and celebrate clean air, land, and water. Earth Day is a day where the world remembers and appreciates the earth’s environment and everything it has to offer. Communities and schools organize events to plant trees and many make an individual effort to “go green” and raise awareness. Plant a tree with your community. You can even donate to a reforestation campaign as there are many working toward the same ideals. 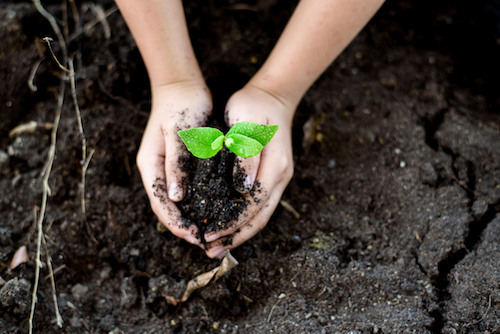 Planting a tree is one of the easiest and most sustainable ways to benefit the environment. Plant it in the right spots around buildings to help reduce hot temperatures and maybe even save more on the air conditioning bill. Planting a tree is also a great opportunity to connect with the family and the community. All different backgrounds can find this event empowering as you are planting seeds that will benefit the future as a whole. Overall, trees and tree planting events can provide a better quality of life for the neighborhood and become landmarks that create a sense of unity. Trees make people feel good. They help reduce stress, creating a better and happier environment. Trees also provide food. They can provide fruit for the community and nutrition for insects, birds, and other wildlife. They do, however, also require care. The first three years of a tree’s growth are the most vital, so if upkeep is a worry you can always contact your nearby tree service professionals for guidance and regular maintenance. Use eco-friendly products for cosmetology, cleaning, and other everyday used items. Reduce your food waste; cook in bulk and freeze the leftovers or find a compost or food drop program. Recycle leftovers by making stale bread into breadcrumbs for your salad or add leftover meats and vegetables to your stir-fry. Keep an eye out for plant-based dishes when cooking or buying a meal. Our diet impacts the planet. Use a refillable water bottle as the world combined uses 1.5 million barrels of oil to manufacture all of those bottles each year. Buy reusable bags and use those when shopping for groceries. Unsubscribe to catalogues and turn the lights off when you’re not in a room to save electricity. Something as simple as just turning off your TV and going outside for some fresh air will make you more appreciative of the day while benefiting the environment around you. Keep the car in the garage and go on a walk or ride your bike to get those errands done. Besides tree planting, there are plenty of volunteer opportunities available for you to get involved with. You can go and pick up trash at the beach and nearby parks. In many cities, there are festivals and celebrations that spread awareness and promote local food and craft vendors. You can even organize something yourself such as a donation drive or yard sale. Clean out your closet and donate to a charity. Recycling clothing helps because it creates less demand on brand new clothes. Manufacturing new clothing requires energy and water, so if there is clothing that you’re not using and can help spare those resources, pass it onto someone else who will appreciate it. It takes a community to work together to change a culture. Locally grown food helps the community both socially and nutritiously. They help people become connected to the growing process and provide cleaner air and reduced energy costs. Shopping locally grown also reduces shipping. If you buy produce at a grocery store, those fruits and vegetables could have traveled thousands of miles to get there. Not only does this burn more fossil fuels, but you the fruits lose both freshness and nutrition. Shopping or growing locally lets fruits and vegetables travel a short distance, be it from your backyard to your table or from a community garden to your local farmers market. Don’t forget to let your voice be heard. You can start or sign a petition for change you’d like to see or even write a letter to your government representative. You can also simply just start talking to encourage habits for healthier living. A self-awareness audit of your environmental usage is always helpful. Learn about things that you use on the daily and understand how it was manufactured and impacts the environment. If you’re with your family, think of ways to let Earth Day expand beyond just the one celebration. Write down new and simple changes you can make or would like to see in the world. Be part of Earth Day and celebrate the world we live in. You can exercise outside instead of driving to the gym, plant a tree with the community, or simply change habits that will create more green awareness. Every move counts toward a better future for the earth we live in!